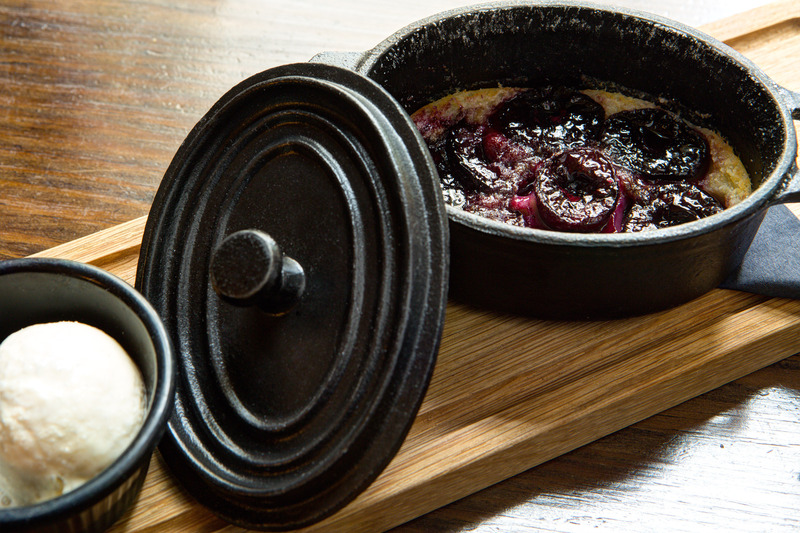 Originating in the Limousin region, clafoutis soon spread throughout France to become a popular dessert in brasseries all over the country. Traditionally, a clafoutis is made with cherries, but the summer brings an abundance of fruit – tender apricots juicy plums, fat cherries and wild blackberries, all warm from the sun and begging to be eaten. You can make a delicious clafoutis with any of these, but my favourite is raspberry. The sweetness of the berries and the zing of the lime zest send your taste buds twirling! Preheat the oven to 180 C/350 F/gas 4. Put the cherries, lime zest and 2 tablespoons of the sugar in a bowl. Mix gently, then set aside to macerate for 15 minutes. Meanwhile, grease a 24 x 16 x 6cm/9 ½ x 6 ¼ x 2 ½ in baking dish or clafoutis dish ( an oval earthenware dish) with the softened butter and sprinkle with another 3 tablespoons of the sugar. Carefully shake the sugar around the dish to make sure it coats the inside. Sift the flour and salt into a mixing bowl. In a separate bowl, whisk together the egg, egg yolk and remaining sugar, then slowly add the mixture to the flour and mix until incorporated and smooth. Slowly add the milk, stirring until the batter has the consistency of a crepe batter, then add the melted butter and mix until combined. Put the cherries in the clafoutis dish and mix to release the juices. Pour the batter over the cherries and bake in the preheated oven for 25 minutes until golden brown and set. A tip of a sharp knife inserted into the centre should come out clean and dry. Remove from the oven and serve. CHEF’S TIP: It is also fun to make this dessert in individual 15oml/5fl oz/ 2/3 cup ramekin dishes, just reduce the cooking time to 10-12 minutes. The Luxury Restaurant Guide are delighted to be working once more with the very talented and thoroughly lovely Daniel Galmiche. Born in Lure in the Comte region of Eastern France, Daniel was enthralled with cooking from an early age. His grandparents ran a truly organic farm and the food his family ate was prepared using their own produce, including game hunted by Daniel and his father. In Scotland Daniel was awarded Master Chef of the Year, gaining a Michelin star whilst working at Knockinaam Lodge. He was also awarded a Michelin Star at Harvey’s in Bristol where he was Chef/Manager, and maintained the Michelin Star at L’Ortolan near Reading and again at the magnificent Cliveden House in Berkshire, where he left in 2009 after being head hunted for the Vineyard Relais et Chateaux in Berkshire. He was awarded the 2011 rising chef trophy for Relais et Chateau Worldwide, Restaurant of the Year 2012/2013 by Decanter magazine, and has holds position 82 on the list of the top 100 best restaurants in the UK by Restaurant magazine. 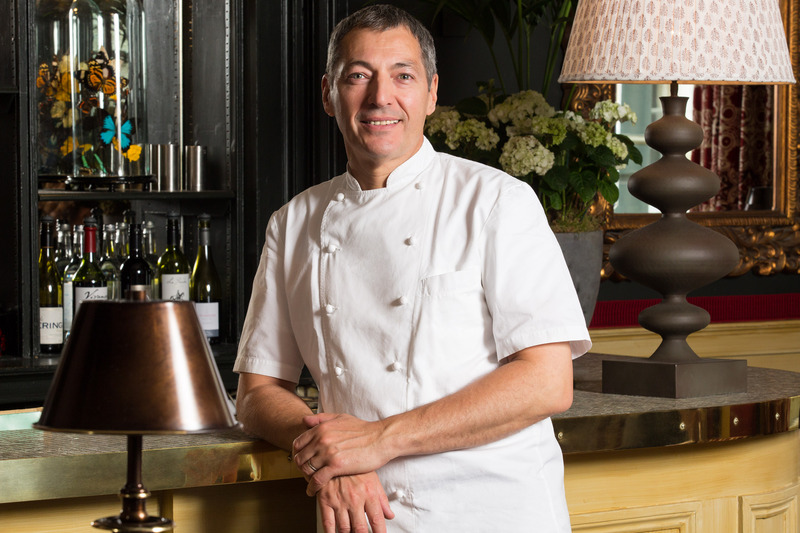 Having now joined 190 Queens Gate at The Gore Hotel in Kensington, Daniel has created a unique menu showcasing his authentic French cuisine with a British twist and locally sourced ingredients. It’s the perfect combination for The Gore. The Club offer: Members receive a complimentary glass of Prosecco and a 10% reduction from the total food bill when having lunch, afternoon tea or dinner all week. Click here for booking details. Not a member? 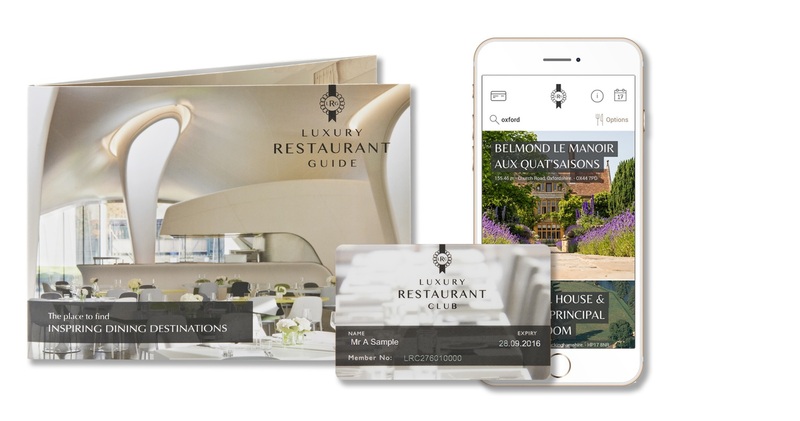 Join the Luxury Restaurant Club today and take advantage of some fantastic benefits during the festive period!